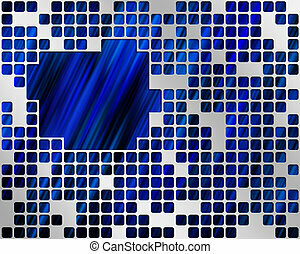 Blue box grid. 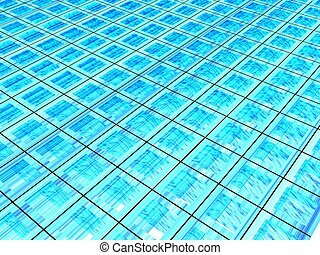 A grid formed by shiny blue boxes. 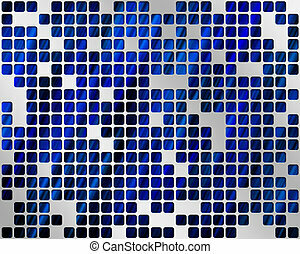 A grid formed by shiny blue boxes. 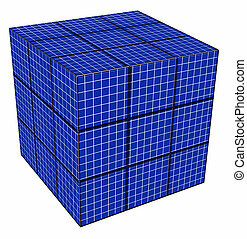 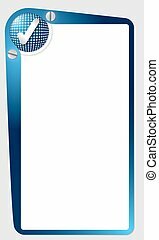 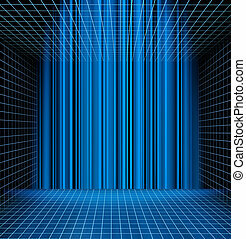 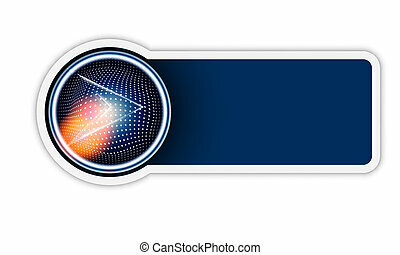 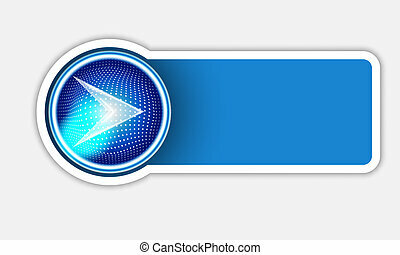 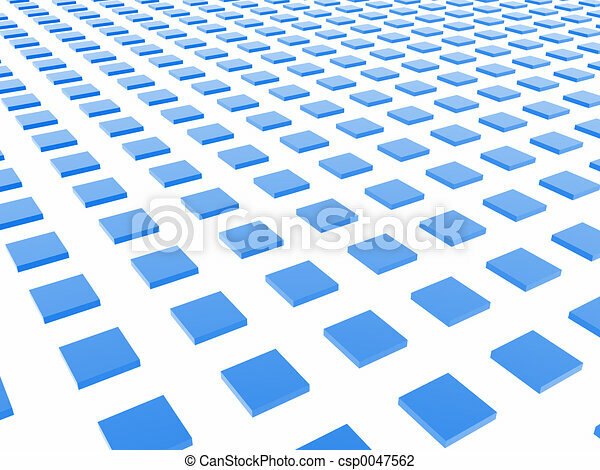 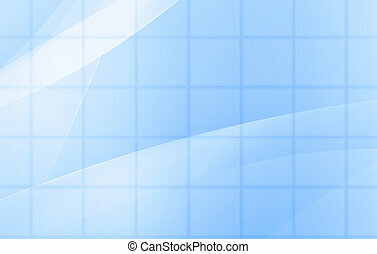 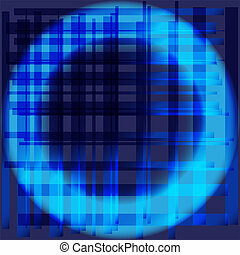 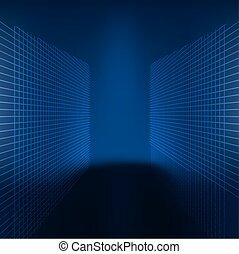 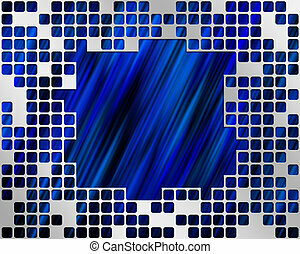 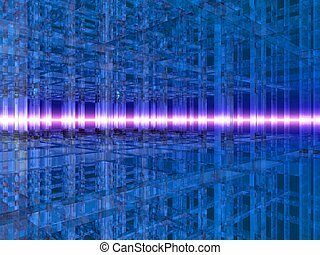 3D illustration of a grid made of blue squares.